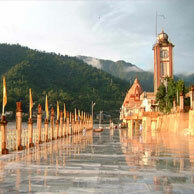 In the below mentioned Rishikesh Weekend packages from Delhi itinerary you will be enjoying the Adventure enclosed in the city of the Lord. 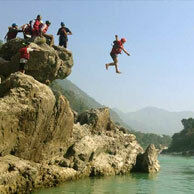 From camping to rafting to trekking and even; cliff jumping. There is a lot in store if you opt for this weekend jaunt. 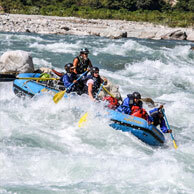 In morning we will be leaving from Delhi to Rishikesh by a private car which would be approximately a 6 hour drive from Delhi, we will reach directly at the camp centre, after some rest you can play volleyball or some water based activities for fun and enjoyment. In the night there will be a bonfire arranged along with delicious food and music. The rest of the night will be in the camp. In the morning after the light breakfast we will be leaving for some adventure sports while we trek to the place there we will see Roler Coster Club House Double Trouble, Golf Cource and a lot of more things in particular. After a tasty lunch in the camp we will Trek towards the waterfalls there will be arrangement of activities like Rock Climbing, River Rafting, Rappelling. After we are done with this we will head towards the camp for the night stay and dinner. 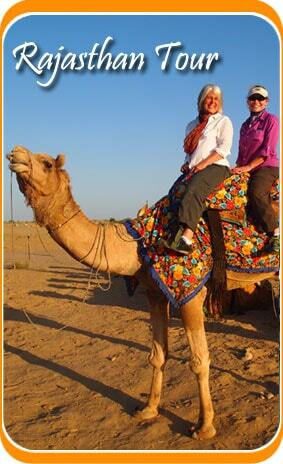 In the next morning we will be driving back to the National Capital Delhi for your onboard journey. 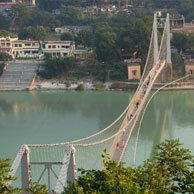 The Delhi Rishikesh weekend adventure package ends here. You would need to follow the National Highway 334; travelling distance would be 268.00 Kilometers and travelling time would be 5 hours 50 minutes. Numerous trains run from the Delhi to Rishikesh; Dehradun Express, Haridwar Mail, Jan Shatabdi etc [average travelling time – 6.00 hours. The nearest airport is Dehradun airport. From October to mid-November and from March to May are the best-suited durations. The average temperature varies from 21°C to 34°C.